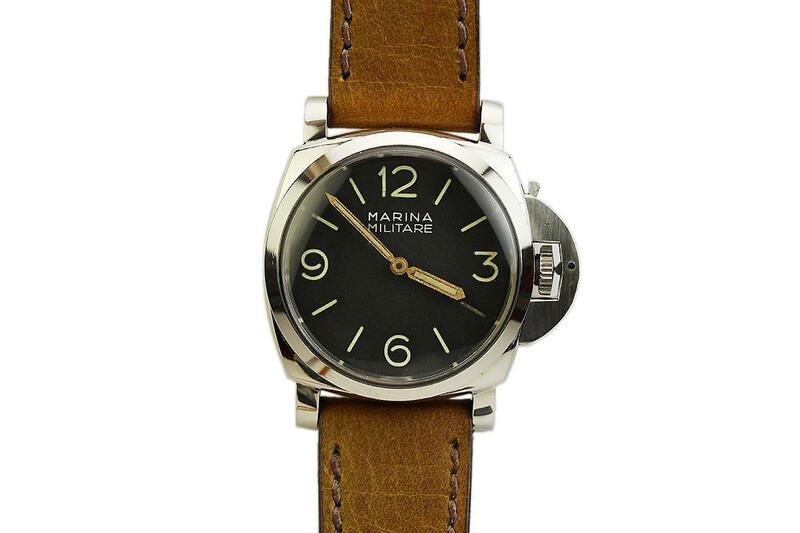 This an incredible example of a 1950's of Panerai Marina Miltare ref 6152-1 which was produced for the Italian Royal Navy. 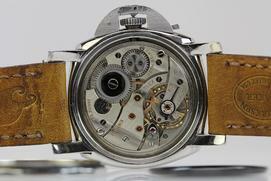 These watches are extremely rare and approximately only 100 known to the market. The case and the movement are signed by Rolex, Panerai contracted Rolex to make these watches. 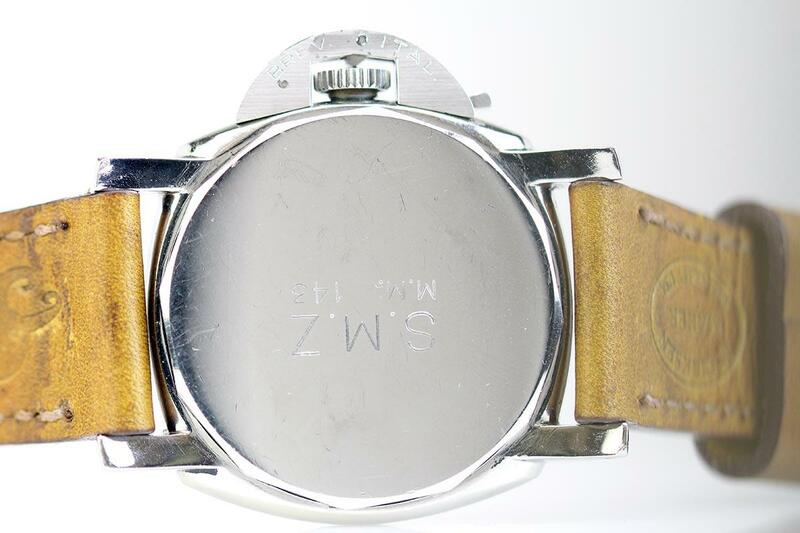 The case features the crown protector and the rare military markings engraved on the back of the case. 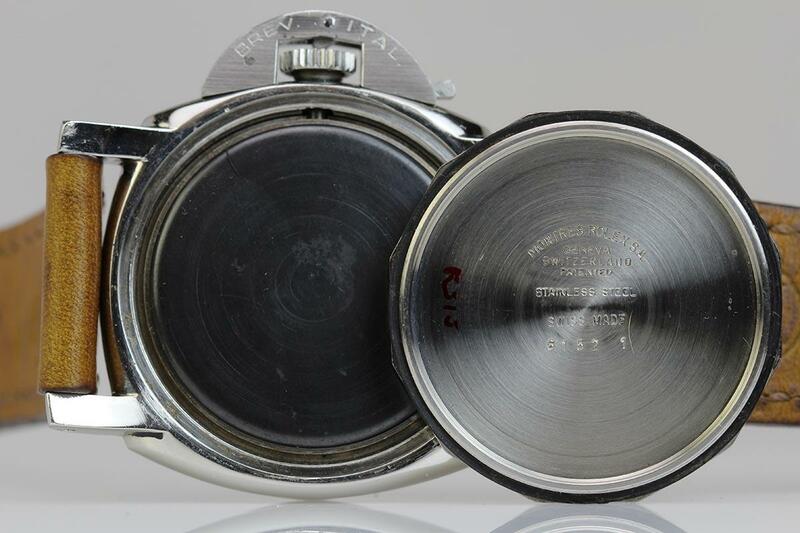 The case is in mint condition and has all its original lines. 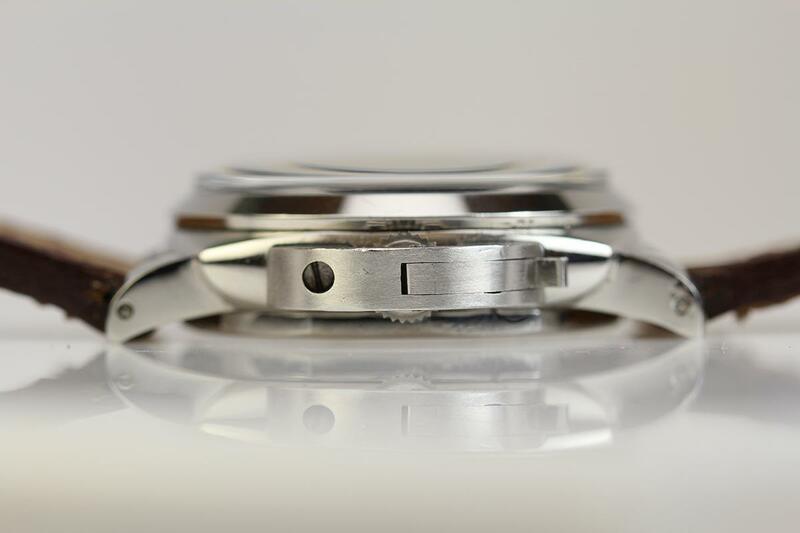 The manual wind movement is powered by the Rolex caliber 618 and is in excellent working order. The original sandwich style dial is in excellent condition with no marks or scratches but the radium material is missing from the number four marker. 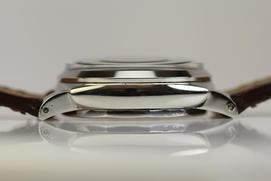 The original hands are also in excellent condition. This Panerai is is an extremely rare find as it has appeal to both Rolex and military watch collectors.